Forget Dieting, Start Losing Weight By Following A Healthy Diet! Foods to eat to lose belly fat are always a winner! After all, the belly is very often the first part of the body where we store fat, and often also very hard to get rid of. Of course, we all know that the best way to lose belly fat is through a healthy diet and some exercise. But if you want to speed your weight loss along, try to include some of these foods into your meals. They can not only help to reduce your cravings, but also boost your metabolism. Apples are a fantastic food that will help you lose belly fat! They are super easy to carry around as a snack in between meals. They also belong to the food group called “negative calorie foods” (which means basically that the digestion of the food requires more calories than the food contains, ending up in a “negative calorie” balance) which is great! And they have lots of fibre (especially if you eat the skin, too, you MUST eat the skin!) and fill you up! I also like the fact that you can’t eat them super fast – as you all know, the slower you eat the better! Mushrooms have – apart from very little calories – also a lot of Vitamin D. Vitamin D has been linked with weight loss in many studies. People who supplement their diet with more Vitamin D often have smaller waists and seem to be able to lose weight faster than those who do not have enough of it in their diet. And, you might have guessed it – they are also on the list of negative calorie foods! Yep, that’s right, who would have guessed that leafy greens are really great foods to eat to lose belly fat? (I think you know I am kidding 😉 ). We have been told over and over throughout our childhood to eat our greens, and this was actually really good advice! 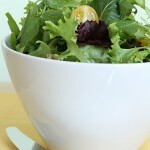 Leafy greens are powerful foods that help detox your body and encourage it to eliminate fat. A build up of toxins in the body means excess fat, especially around the belly. If you eat a lot of leafy greens and green vegetables can help your body to eliminate unwanted toxins and thus unwanted fat. Quinoa is known as a complete grain, combining protein, fibre, B vitamins and complex carbohydrates all in one. 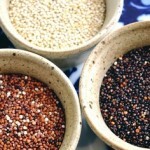 Eating grains like quinoa will help to boost your metabolism, and burn belly fat faster. Why not eat quinoa for breakfast, instead of cereal, and get the day started right on your journey to lose belly fat? As Quinoa is also full of hunger-fighting protein, if you start your day with Quinoa you will stay full for longer with less calories, and you will avoid overeating on your other meals. Lean protein is one of the best foods to eat to lose belly fat. Studies have shown that getting enough lean protein is essential if you want to lose weight. It will boost your metabolism and keep it running even in resting periods, and it will keep you full for longer (just like Quinoa) so you will eat less. Foods high in lean protein take more work to digest, metabolize and use, meaning that your body will burn more calories when processing them. 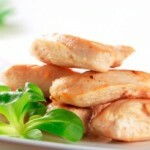 Eating lots of lean protein will for sure start to dissolve your belly fat. An abbreviation for Monounsaturated Fatty Acids, MUFA’s are essentially the “good” fats in your body. They will help to reduce the amount of bad cholesterol in your body and at the same time help to increase the amount of good cholesterol. A diet rich in MUFAs may help reduce abdominal fat much better than a carbohydrate rich diet, even without any exercise! 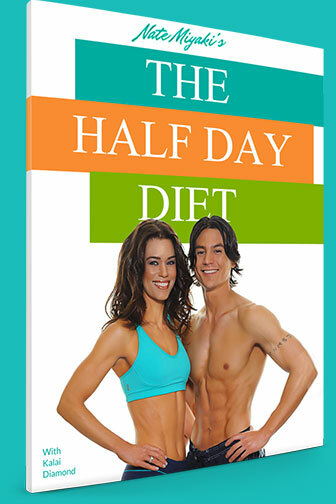 It is essentially about eliminating bad fat and replacing it with good fat. But always remember, even a diet with a lot of MUFAs should still be a calorie-controlled diet. 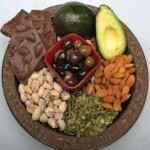 A diet that contains lots of MUFAs is, for example, the Mediterranean Diet. I found another great article on foods to eat to lose belly fat on Glamour Magazine. I know what I will be doing – stocking my pantry and fridge with the right foods to finally get rid of my belly fat! Happy Healthy Eating! Hate to break it to you, but loading up on coconut water, acai berries, or any other so-called wonderfood probably isn’t going to melt your gut any more effectively than the Taco Bell diet. The good news: You don’t need lots of money or even a specialty store to get a hold of foods that actually do fight belly fat. Turns out, everyday foods such as eggs, beans, and milk may serve as your best defense against extra chub. They make you feel full, not fat, and can help you cut calories without even knowing it. So forget the gimmicks. Stock up your kitchen with these nine staples and watch the pounds drop. Indeed, apple is a great fat reducing agent. In fact, apart from apple I feel all the food items you mentioned in your post are quite helpful. 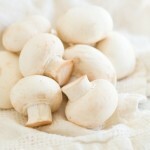 We all know about the benefits of leafy greens and mushrooms. Thanks for the post. Rey´s last blog post ..Test News Header! We should never underestimate the goodliness of a fruit as common as apples. We all have been hearing this line since childhood – ‘an apple a day, keeps the doctor away’, but I never believed in it. I started believing it when my friend lost her stubborn belly fat by having one apple a day. For me it was a big lesson, thanks for sharing Petra. 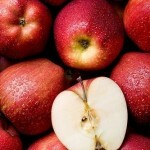 I didn’t realize that apples could help you lose belly fat, great tip! 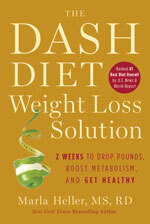 The New York Times Bestseller - based on the diet ranked "#1 BEST DIET OVERALL" by US news & world report for 3 years in a row! Are You Binge Eating At Night? The Real Truth About Models – Why They Are So Thin! © 2019 Healthy Diet Weight Loss. All rights reserved. Premium WordPress Themes.